Making its debut on vinyl for Record Store Day 2015, is Stephen Rennicks’s song based soundtrack to Leonard Abrahamson's fantastical black comedy featuring Michael Fassbender as the masked leader of doomed avant-rock group, The Soronprfbs. The music press were quick to laud FRANK as one of their top soundtracks of 2014, with Mojo placing it at No.3 in their Top Ten for the year and Record Collector giving it 5*, while public fascination with its Beefheart-esque sound has ensured cult status. 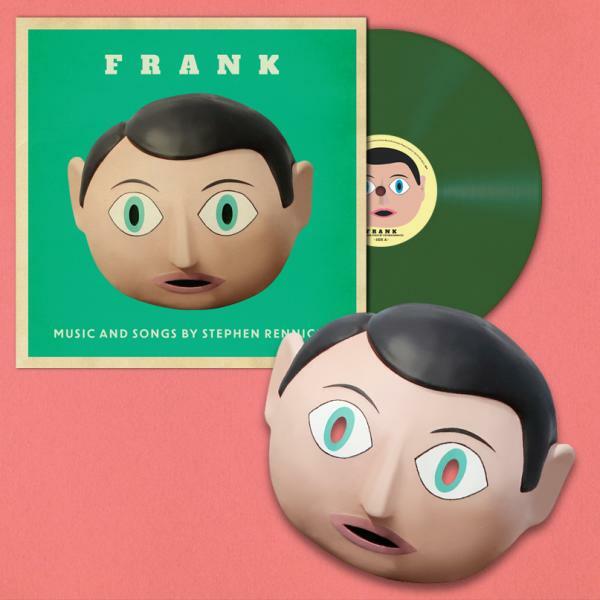 The songs, sung mainly by Fassbender, veer from manic comedy to heart-breaking pathos and this vinyl release has been specially recompiled to feature all the songs, most of the incidental music and an exclusive, previously unreleased version of “Frank’s Most Likeable Song…. Ever”.